THE ART OF THE GUITAR…nobody illustrates it in bolder “living color” than “The Master of the Telecaster,“ James Burton. From vivid pink paisley to flaming red hot, Burton’s guitars and his unmistakable riffs and soft bending sounds have defined rock ‘n roll for more than six decades and have made him one of the world’s greatest musical legends. So get ready to see Burton burn up the fret board because it’s gonna be a hot time in the city that art built this summer when Shreveport guitar legend, Rock and Roll Hall of Fame member and Grammy award winner James Burton opens his guitar collection to the public in a never-before-seen exhibition. Additionally, area Guitar Collectors bring their one of a kind Guitars for display. Some are pure celebrity–autographed by stars like Mick Jagger–and others are delightfully “artistic” such as the mosaic tile Art Guitars or the Cigar Box Guitar that really plays! The Shreveport Regional Arts Council (SRAC) presents the two Exhibits as the “ART OF THE GUITAR,” opening, Friday June 2, 2017, from 5:30 p.m. to 9:00 p.m. at Artspace in downtown Shreveport. James Burton will open the night with a “riff or two” on his guitar to set the stage for 12 weeks of dynamic programming and entertainment. 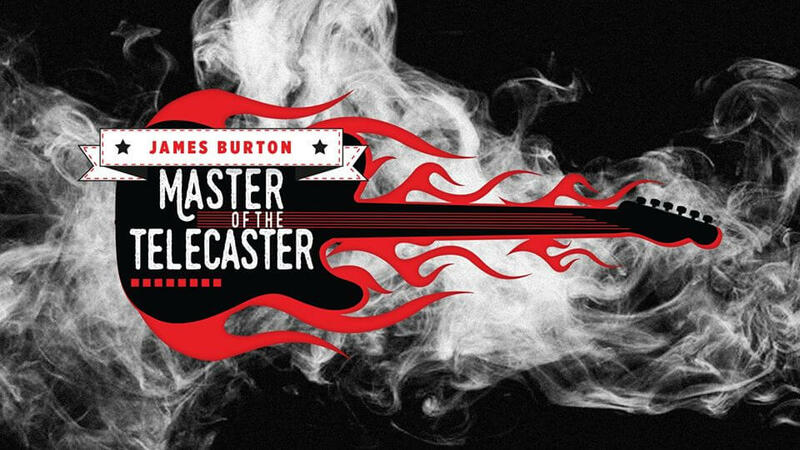 Burton and wife Louise are curating the exhibit, selecting from James’ guitar collection, celebrity “guest guitars” from friends, and memorabilia from his legendary Rockabilly life. Burton has been playing professionally since he was 14 years old and has racked up an impressive list of artists with whom he has performed including Ricky Nelson, Elvis Presley, John Denver, Glen Campbell, Johnny Cash, Merle Haggard, Emmylou Harris, Waylon Jennings, Joni Mitchell, Jerry Lee Lewis, Keith Richards, Eric Clapton, Elvis Costello and Brad Paisley.